I found a printed crepe scarf ,which I liked very much. It is in red and has traditional Indian print, with paisleys and florals in a multitude of colours. It was hard to choose a tunic fabric in one colour.and I thought, this cream tunic fabric which was woven ikat in cotton, will be ideal for this scarf. The embroidery was to be done on sleeves and the front edge. This time, there will be no embroidery on yoke. 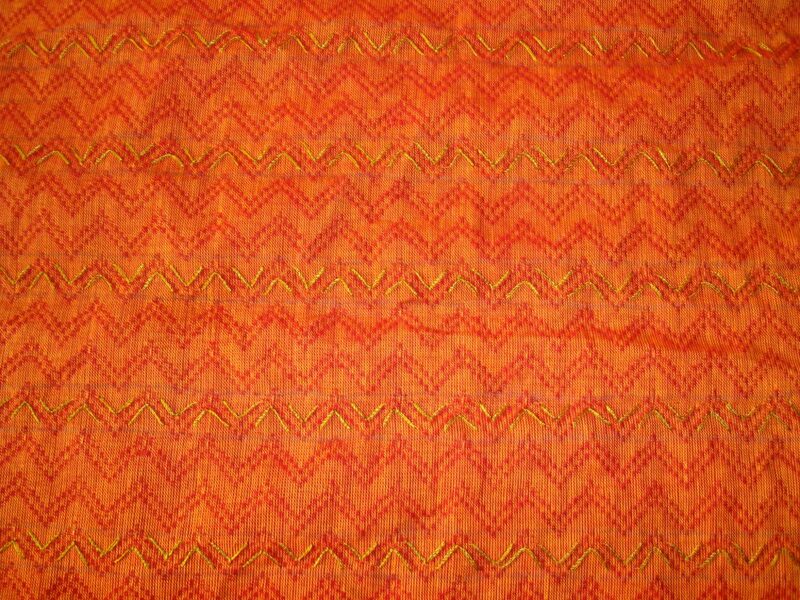 A machine woven burnt orange fabric,with zigzag lines was chosen for the borders. The lines were the pattern on which the embroidery was done. The colours on the scarf were the guide for threads used for embroidery. Cotton skeins, cone thread and sequins were used for embroidery.